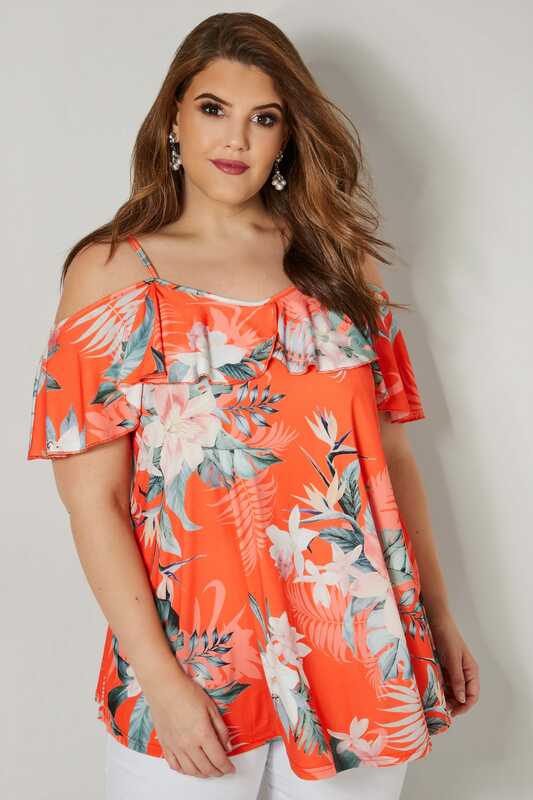 Create a bold and eye-catching look with this top. 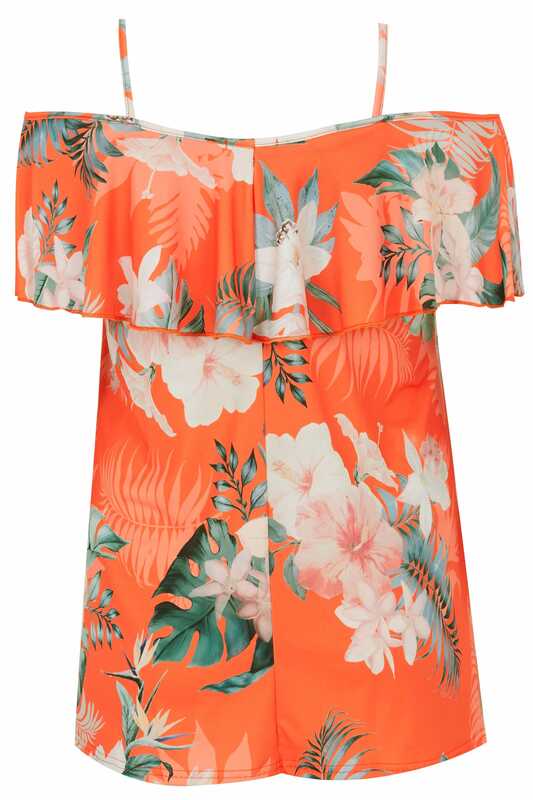 Made from a slinky jersey fabric, its on-trend cold shoulder design features frilled detailing for added appeal. Team with denim and sandals for a daytime look. 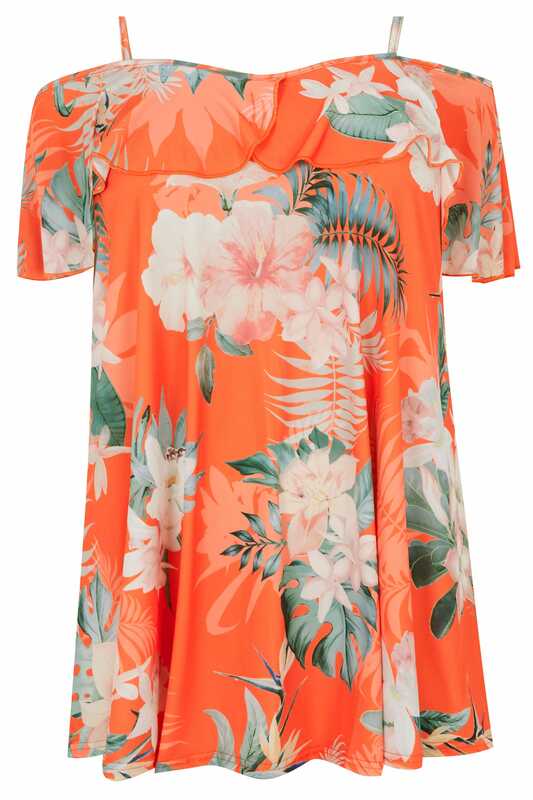 We love the bright orange hue and floral print.